Collins Lake cats are catch of the day! 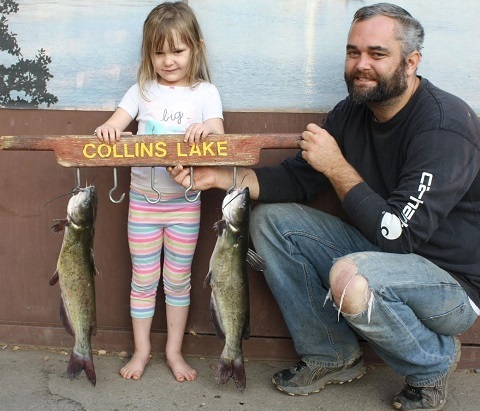 Catfish were #1 this past week and it didn't matter what the bait was, they seem to like it all, starting with Amelia Burton who fished off the dock with her Daddy, they caught two nice Cats (biggest was 4 lbs.) and they used Hot Dogs!! 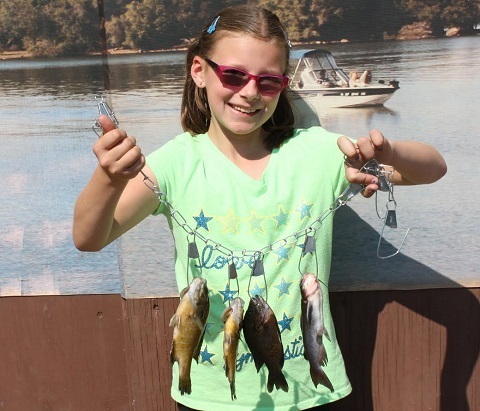 Arabella Derfuss from Vacaville caught a stringer of crappie and one little catfish and her bait of choice was worms and she fished down by the dam. 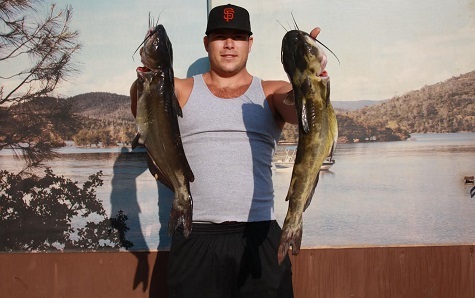 Kyle Welter from Roseville hit it big with his two cats, the biggest one was 7 lb. 4 oz. and the second one a 6 pounder! Kyle fished off the dock and used the all time favorite bait here at Collins Lake, frozen chicken livers. 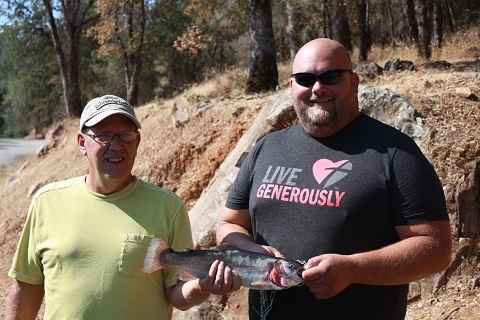 Dustin Kern came ALL the WAY from Minnesota to fish our lake with Noel Mcaleese from Grass Valley!! They were fishing in a cove across the face of the dam with red PowerBait and they caught a 3 lb. rainbow trout. As the night temperatures continue to drop into the high 50's, I expect to see a lot more trout being caught from shore in the next few weeks. The most common bait used is PowerBait, and their favorite color seems to be chartreuse. 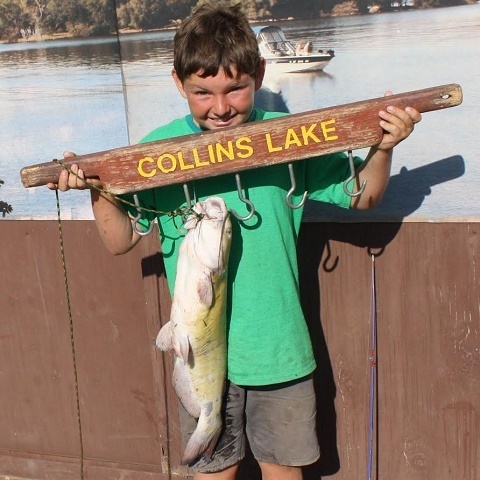 Click on the link for additional information about camping or fishing at Collins Lake or call 1-800-286-0576. Collins Lake first fish ever catches!